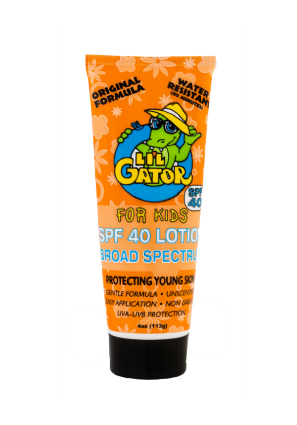 Lil Gator SPF40 offers maximum protection for your kids with little fuss. 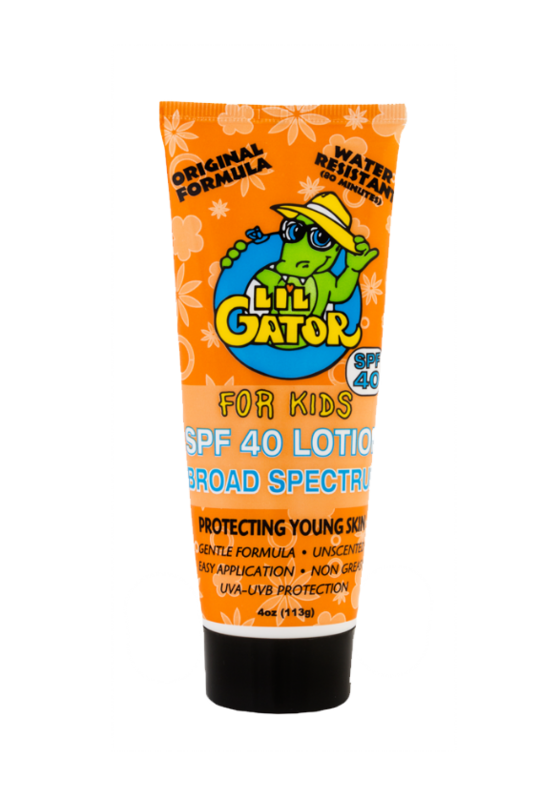 The lotion is non-greasy, invisible and unscented making it perfect for kids. The lotion is also waterproof meaning it does not have to be applied every time they get out the water. Reapply every 2 hours for maximum protection.